Jack Mulder is Professor of Philosophy at Hope College. We invited him to answer the question “What is Philosophy of Religion?” as part of our “Philosophers of Religion on Philosophy of Religion” series. Philosophy of Religion is a fascinating area in the study of philosophy. Part of the reason it is so interesting is that it can encompass philosophy theology, philosophical a-theology, and philosophical inquiry into the meaningfulness of those very categories. Let me try to explain. 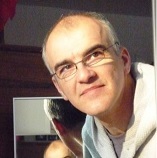 Adam Barkman is Chair of Philosophy at Redeemer College, Canada. We invited him to answer the question “What is Philosophy of Religion?” as part of our “Philosophers of Religion on Philosophy of Religion” series. The philosophy of religion is the project of thinking hard about key themes in “religion,” such as divine revelation, the soul and God. Fine; but who says this project can’t also do more? —The philosophy of religion textbook, written by profs like you and me? When I teach or talk on this subject, I’m always crossing the boundary into what some would like to restrict to theology and even science. Mark Gardiner is Associate Professor of Philosophy at Mount Royal University, Canada. We invited him to answer the question “What is Philosophy of Religion?” as part of our “Philosophers of Religion on Philosophy of Religion” series. descriptive: What it is that philosophers of religion, in fact, do? historical: What is it that philosophers of religion at particular past times have done? cultural: What is it that philosophers of religion in particular cultural settings are doing? imaginative: What it is that philosophers of religion might, in the future, do? normative: What it is that philosophers of religion ought (or ought not) to do? These questions are, of course, thoroughly intertwined. Answers to the normative question may both serve to critique answers to the descriptive question as well as delimit a range of answers to the imaginative one. There is, for instance, a nascent movement which is critical of what is often described as ‘traditional’ philosophy of religion and which advocates a re-shaping of the field; indeed, the call to this movement is reflected in many of the blog entries on this website. Some have claimed that ‘traditional’ philosophy of religion is really just a form of theology—and that theology has no place in a properly constituted philosophy of religion. Others have argued, in a not dissimilar fashion, that philosophy’s ‘traditional’ emphasis on first-order truth questions unwarrantedly privileges conceptions of the object of study along the lines of abstract metaphysical systems, canons of beliefs, world-views, or purported representations of reality. Many religious adherents, it is often pointed out, just don’t understand their religion along these lines. Just as postmodernists critiqued the scientific realists during the science wars as having a conception of science which had lost touch with what it is that scientists actually do or have done, this movement calls for the object of the philosophy of religion to be actual religions and religious phenomena rather than some imagined type of Religion Itself or religious noumena. 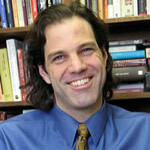 Kevin Schilbrack is Chair of Religion and Philosophy at Appalachian State University. We invited him to answer the question “What is Philosophy of Religion?” as part of our “Philosophers of Religion on Philosophy of Religion” series. The questions one typically finds in textbooks on philosophy of religion are whether faith in God can be rational, whether the attributes traditionally ascribed to God are reasonable, whether the evil in the world undermines the credibility of belief in an all-powerful and perfectly loving God, and whether religious experiences are evidence for the reality of God. Sometimes one also finds alternative conceptions of God, like open theism or process theism, and increasingly one finds the question of how theists should think about the possibility of truth and salvation in other religious traditions. I find this range of questions fascinating, but needlessly limited to the topic of God. I judge that as the world shrinks due to technology and migration, a broader set of questions emerges for philosophers thinking about religion. I therefore want to lay out a proposal for the emerging sets of questions that philosophy of religion ought to take as its task. There are, I think, three such sets. Stamatios Gerogiorgakis is “Privatdozent” at the University of Erfurt in Germany. We invited him to answer the question “What is Philosophy of Religion?” as part of our “Philosophers of Religion on Philosophy of Religion” series. Let me draw a parallel with aviation: future philosophers of religion take off, like all philosophers, by studying a wide variety of subjects from metaphysics to political philosophy, from epistemology to aesthetics, from ethics to philosophy of science. It is not in terms of taking off where philosophers of religion differ from their other colleagues in the discipline. It is rather in terms of landing. After studying metaphysics and ethics and epistemology etc. those who intend to land a career in philosophy of religion have to realize that the landing spot is too small. The horror disappears once they look to their right and to their left: the landing corridor is only a few yards “long”, but it is also several miles “broad”. In other words, philosophy of religion is no compact area in philosophy but rather a narrow path which goes through all areas of philosophy: from metaphysics to ethics and political philosophy and from epistemology and philosophy of science to aesthetics. 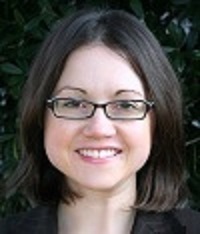 Mariana Alessandri is Assistant Professor of Philosophy at the University of Texas Pan American. We invited her to answer the question “What is Philosophy of Religion?” as part of our “Philosophers of Religion on Philosophy of Religion” series. Elie Wiesel wrote: “God made man because he loves stories.” What I love about this quote is that “he” is ambiguous. Does God love stories or do humans love stories? Both, I think. We come up with outrageous and magical stories, and the best ones I know are philosophical and religious. These stories help me breathe better, like when I come off of the Verrazano bridge and smell the ocean where I grew up. They make me want to live in this world, even when it’s ugly. In fact, the stories that move me wrestle with the ugly: why normal people can be so mean to each other, why people die or leave. They also try to explain the fun stuff—like how and why the world was created and whether there is life after death—and the tricky stuff like God, love, memory, time, and sadness. Great stories don’t always have satisfying answers, but they push us to be brave and keep asking questions. Matheson Russell is Lecturer in Philosophy at the University of Auckland in New Zealand. We invited him to answer the question “What is Philosophy of Religion?” as part of our “Philosophers of Religion on Philosophy of Religion” series. Philosophers of religion exhibit their understanding of what it is to do philosophy of religion in what they choose to write about and in the way they write about it. When we survey the philosophy of religion literature, then, what tasks do we find philosophers of religion taking up? What topics and questions do we find them tackling? I think it’s possible to discern four main streams in the contemporary literature. As I shall try to indicate, these four are dialectically interrelated. Laura Biron is Lecturer in Philosophy at the University of Kent in the United Kingdom. We invited her to answer the question “What is Philosophy of Religion?” as part of our “Philosophers of Religion on Philosophy of Religion” series. One reason that ‘philosophy of religion’ may turn out to be such an elusive field is that it defies easy classification into any of philosophy’s main sub-disciplines. Understanding some of the classical theistic arguments—based on a priori ontological definitions of ‘God’, cosmological principles or experiential evidence of the teleological purposiveness of the world—makes philosophy of religion quite understandably a species of metaphysics. Indeed, much great work in contemporary philosophy of religion has been carried out within metaphysics and by metaphysicians, and it is often through metaphysics that students first encounter philosophy of religion as a subject. 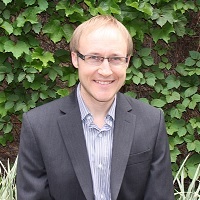 Nigel Zimmermann is Lecturer in Theology at the University of Notre Dame, Australia, and the author of Levinas and Theology (T&T Clark Bloomsbury, 2013). We invited him to answer the question “What is Philosophy of Religion?” as part of our “Philosophers of Religion on Philosophy of Religion” series. Philosophy of Religion is an enticingly nebulous branch of philosophy that invites thought into a shared space with belief. Such a space is of course richly pluralistic, offering complex layers of religious commitment and practice to the imprecise scrutiny of the modern and the postmodern philosopher alike. 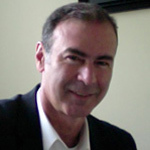 Bernie Cantens is Professor and Chair of Philosophy at Moravian University. We invited him to answer the question “What is Philosophy of Religion?” as part of our “Philosophers of Religion on Philosophy of Religion” series. Philosophy of religion is a branch of philosophy that studies the nature, existence and reality of the supernatural world; its relation to the natural world; and the issues that arise from this relationship. Philosophy of religion’s method, unlike revealed theology, is solely reliant on empirical and rational approaches, as are modeled in other areas of philosophical studies. I can envision at least two ways to approach the task of clarifying what is philosophy of religion: first, we can describe it through its logical structure; second, we can describe it more organically, meaning the natural way philosophers come to address the subject matter. Let me begin with the logical structure.